Medellin’s short-term, furnished rental market is one of the best-performing income markets in Latin America today. Double-digit returns are common. But it’s hard to tap into it, because in 2010, the city passed a law which banned rentals of less than 30 days in most residential buildings. This offer is a way to get in on Medellin’s excellent short-term rental returns—as well as its real estate market—without the hassle or cash outlay required to buy your own property. This property investment is offering an 8% preferred dividend, plus capital appreciation. The project is the construction and operation of short-term rental units, taking advantage of Medellin’s short-term, furnished rental market. The developer is experienced in building and managing these types of projects, and has done a few of them already. 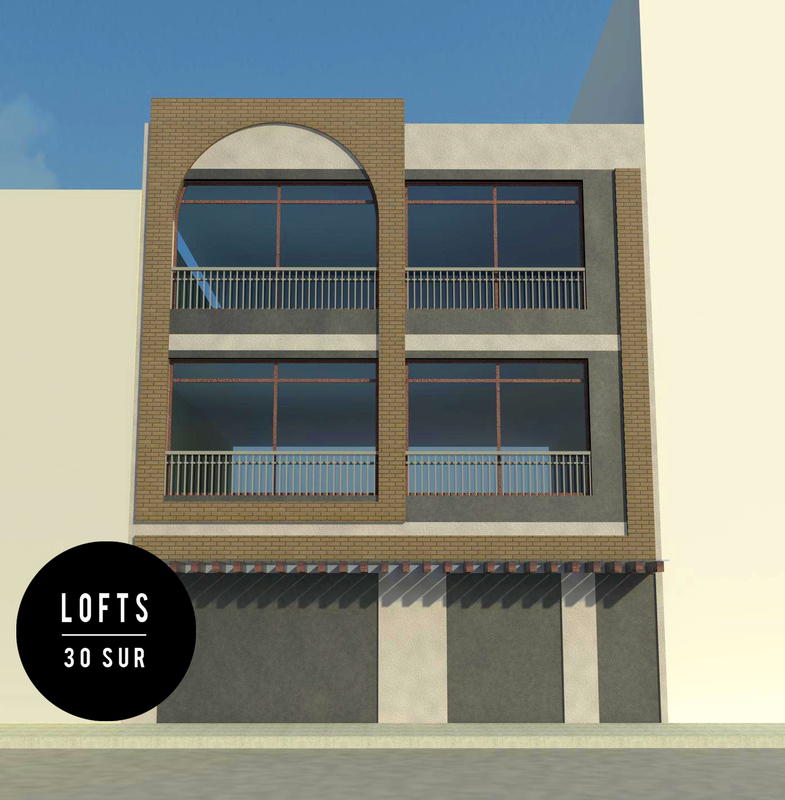 The name of the project is Envigado Lofts. Envigado Lofts is located in Barrio Jardines, in Envigado. While I often talk about Envigado as if it were a neighborhood of Medellin, it’s actually a separate municipality, starting on the southern border of Medellin’s El Poblado neighborhood. Envigado has long been a desirable spot for expats; it’s easily walkable, charming in a colonial sort of way, and has good zoning controls to preserve its low-rise character. But Envigado has traditionally lacked the drawing power of neighboring El Poblado. 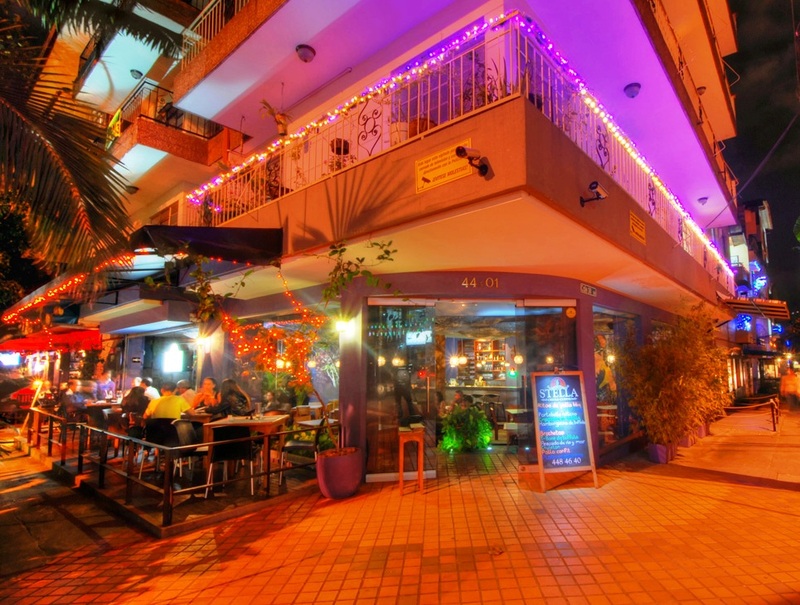 While appealing, it couldn’t compete well with the huge array of fine-dining options, cafes, clubs, and nightlife of El Poblado, or its long-standing reputation. But that began to change in 2011 when a group of local entrepreneurs decided to create a small, exclusive restaurant enclave among the quiet, tree-lined streets of Envigado’s Barrio Jardines. Today, Barrio Jardines hosts more than 20 restaurants, with people coming from far and wide to visit its now-hip gastronomic sector. Since that time, real estate prices have jumped in this area, and last year, the increase outperformed the highly popular El Poblado—so the early predictions of success are coming true. When I first visited the Barrio Jardines neighborhood of Envigado, I wrote a report on what I found. You can read the original Envigado essay here. The bottom line is that Envigado is an up-and-coming area, and Barrio Jardines is leading the way. And the Envigado Lofts project is right at the center of it, looking out over the exclusive restaurant enclave. The reason for developing Envigado Lofts is rooted in Medellin’s lucrative furnished short-term rental market. After the hotel lobby succeeded in passing the law I mentioned above, this market evaporated. More than 75% of the inventory disappeared, while demand continued to be strong. Follow the link to see my full report on short-term rentals in Medellin. But then an innovative entrepreneur—Rich Holman and his development team at First American Realty Medellin—piloted the idea of using investor funding to buy select buildings, refurbish them into modern apartment units, and offer them into the short-term market. That first project, Poblado Suites, was a success. The investors are now earning high dividends, occupancies are higher than forecasted, and the commercial value of the building has more-than doubled. Unsurprisingly, First American hit rewind and did several more of these projects, the latest of which is Envigado Lofts. Do You Really Want To Partner With These Guys? I like having this developer—First American—for a partner because I think they can keep the occupancies high. First of all, First American—and their affiliate, The Apartment Medellin—are also the rental agents for this property. And at this time, they handle more than 50% of the Medellin’s furnished rental market for foreign visitors. So I’m sure Envigado Lofts will get plenty of referrals and good promotional efforts like their other projects do. Also, as the developer, First American gets to keep any extra income after paying the investors. So they’re highly incentivized to keep the building full. Finally, they’ve done this before. And it’s worked out quite well for the investors in their earlier projects. As an investor, you will be a shareholder in the Colombian company Jardines Lofts of Envigado SAS. Your pro-rata ownership will be a function of the total amount of pesos that you have invested. Once the project is online, your investment will return a pretax annual preferred dividend of 8%, paid quarterly. The overall total returns, long term, are projected to be 18%, when combining these dividends with the projected capital appreciation of the asset. The profit realized from any liquidation would be split equally between the investors and the developers after the investors have recouped their original capital. The minimum investment is US$50,000. Construction completion is scheduled for the second quarter of 2015, after which the units will be immediately put on the short-term market. Investors in Envigado Lofts will be entitled to discounts when staying on the property, which vary between 10% and 50%, depending on how far in advance you book (late bookings earn higher discounts). The dollar is strong right now against the Colombian peso. So your US$50,000 investment will buy you more shares of the company than at just a short time ago. Over the past eight years, the peso has performed strongly against the U.S. dollar. But remember, currencies are a double-edged sword, and impossible to predict. Currency trends can change, despite any logic you think you’ve applied. This investment, however, has a built-in hedge because it’s earning local income in the local currency. For more on that issue, see my recent essay on currency considerations when buying abroad. The rental income generated will increase over time, along with the value of the building itself. This investment provides a currency diversification from your other dollar-based investments. The investors and developer are getting the building at a good price, in an area that’s now one of the fastest-trending markets in the Medellin metro area. Finally, you will be eligible for a Colombian visa after making the investment. No one should enter into an investment like this without having an exit strategy, ideally with more than one option. The exit here could take one of two forms: either the entire project can be sold, or an individual investor could sell their shares. At the project level, the project could be sold to a Colombian brokerage firm’s real estate investment trust or real estate mutual fund after three to five years. The developers already have qualified interest from three securities firms—I’m a client of one of them, and know the other two by reputation. The entire project could also be offered to a large investor looking for established cash flow. Per the existing agreement, any investor can sell their shares at any time. Your co-investors have the first right of refusal if you decide to sell. Then First American has second right of refusal. Thereafter, you can sell it to anyone you like. If you want, First American will promote your share to its subscriber base (in excess of 15,000 subscribers). In this case, you would pay a sales commission at the time of closing. Obviously it will be easier to sell your shares when the project is finished and operating. If you’re interested in an investor package or have further questions, please contact the developer directly. You can contact Rich Holman here. I would not recommend buying beachfront property, because there are too many potential problems with owning beachfront property. Maintenance is one. You need to maintain the water line, sand, salt spray, corrosion, storms, on so forth. I often get negative comments from people who have no idea what they’re talking about. But in this case, I’ll bet Sherwood has owned a beachfront property. And that’s because the image of a beachfront property is always flawless until you own one. We loved the house, and I’d certainly have a seafront house again. But now I realize that it comes with some extra maintenance items that I didn’t have to worry about just three blocks inland. My wife is Argentine, and she and I are moving to Argentina. We are interested in owning another property in either Uruguay or Brazil that we could use part-time, which will hopefully generate some rental income when we are not there. Uruguay has the advantage of being just across the river from Buenos Aires, but we both like Brazil very much. Do you have any suggestions or points you think we should consider? Ordinarily, I’d say that you buy in the place you’d love to be, and let the practicalities sort themselves out. But in this case, there are other strong considerations. When I lived in Punta del Este, Uruguay, we had a beach house in Brazil and an apartment in Montevideo. We’d visit the Brazil house for months at a time but could only go once per year. The Montevideo apartment is something we could enjoy every other weekend. So the proximity of your second home will have a lot to do with the enjoyment you get out of it. But on the other hand, it might be nice to have a place to escape the Argentine winters…and Uruguay won’t do that. If a winter home is what you’re after, Brazil is the place to be. And one additional advantage is that northeast Brazil is nice during the Argentine winter but it’s actually Brazil’s offseason. So in the opposite season, while you’re back home enjoying the Argentine summer, you could be renting your Brazil house out during its high season. My primary real estate contact and rental agent in Montevideo is Bettina Stratta. For Punta del Este and beyond into the Uruguayan department of Rocha, it’s Alberto Prandi ( http://www.albertoprandi.com ). In Brazil (on the island if Itamaracá), my agent and manager was Peter Zorab.